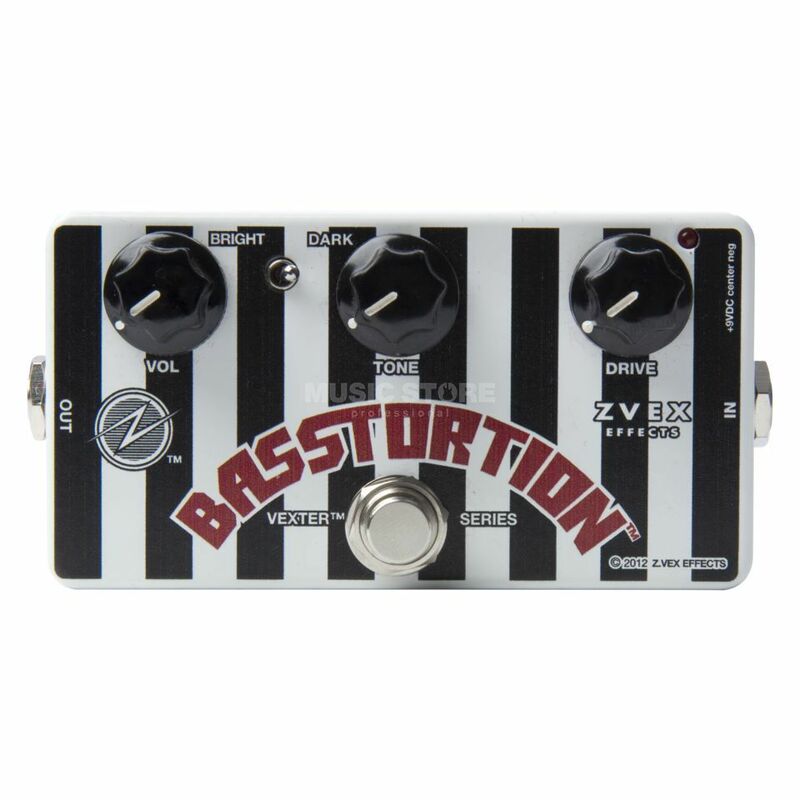 The Z.Vex Basstortion Bass Guitar Effects Pedal emulates all-valve amp distortion for bass. The harder you dig the more it growls. The connection between your hands and that kind of natural tube distortion is primal, immediate, powerful, and musical. Features include Drive control which provides barely perceptible tube valve grind to all out crunch and everything in between, a Tone control to adjust the treble content and Volume to adjust the output volume level. The Basstortion also features a Bright/Dark switch which controls the ‘bite’ and high frequency content.